embedded devices and provide the bridge between the device and phones or laptops. Here is a summary IoT vendors that are supported on the NixCore X1. The Amazon Web Services (AWS) offering from amazon.com is a suite of services that allow developers to collect, control, store, analyze, and display information from internet connected devices, such as those based on the NixCore X1 processor board. The NixCore X1 has been tested with the AWS Embedded C SDK and can communicate with AWS IoT Hub instances to send and receive data. Information on how to build the AWS SDK and how to link the SDK library with projects for the NixCore X1 can be found on the NixCore AWS Page. NixCore is proud to have the NixCore X1 as a Microsoft Azure certified device for their IoT platform. The Microsoft Azure service allows for devices to connect to the cloud using multiple protocols, including HTTP, MQTT, and AQMP, providing flexibility in how data is transmitted across the network. Information on how to build the Azure SDK and how to link the SDK library with projects for the NixCore X1 can be found on the NixCore Azure Page. MODE is an IoT platform focused on bridging the gap between embedded systems and phone applications on iOS and Android. Their cloud services include “Smart Modules” which are programmable modules that can allow for different actions based on input events from the system, without user interaction. MODE has both a free subscription and paid subscriptions based on device and volume. MODE provides both a RESTful API and a C based SDK. The SDK has been confirmed to build on the NixCore X1 using both the buildroot and OpenWRT toolchains. Makefiles and example code can be found on the Examples Page. 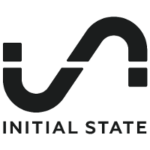 InitialState is an IoT platform that allows you to visualize your data via the web. With their advanced “Wave” and “Tile” views it is trivial to setup a beautiful user interface to your NixCore X1. InitialState has both a free subscription and paid subscriptions based on device and volume. InitialState provides a RESTful API which can be interfaced with using curl or the NixCore InitialState library built on libcurl. SDK, Makefiles and example code can be found on the Examples Page. 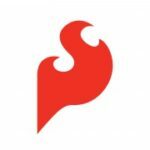 data.sparkfun.com is a service that allows users to push data up to their servers for storage. The data can then be downloaded in many formats including CSV, JSON, and SQL. Additionally,Sparkfun is integrated with Analog.io, a service that allows you to visualize your data streams from many different sources. Both data.sparkfun.com and Analog.io are free and sparkfun even release their server code so you can run your own data server! data.sparkfun.com is URL based and can be interfaced with using curl or the NixCore sddata library built on libcurl. SDK, Makefiles and example code can be found on the Examples Page.